France is undoubtedly one of the most beautiful countries in Europe, with Paris being one of the most well-known cities in the world. Everyone has surely dreamed of eating a croissant in a vintage style café or wished to the top of the Eiffel Tower and see the city from an altitude of over 270 meters. It is no surprise, then, that France is the most visited country in the world with 83.7 million international tourist arrivals in 2014 alone. The culture, the art, the architecture and most of all, the history makes France the perfect destination for anybody; no matter age or nationality. Beauty is appreciated by everybody! Some people like the country so much that decide to move in for a short period of time or even make it their permanent home. Perhaps you just need to relocated with your job. No matter the situation, everyone needs information and tips about the city, the culture and legal notices in order to have a smoother transition to the new country. And if you’re not too advanced at French, this information is so much more important. 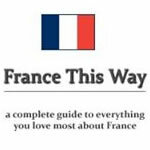 Very well formatted and with a nice layout, FranceThisWay.com is our #1 choice. 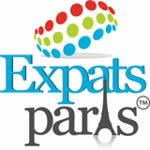 It is packed with great information which is split into categories of interest for anyone thinking of moving to France. 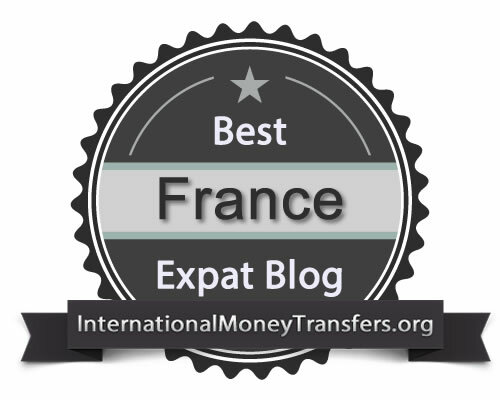 To start using the site and to easily get to the most important articles and tips, you need to go to the Living in France page where you have everything from buying a property and mortgages to what to expect during the first few months. For fresh news or personal opinion on things related to the country, as well as the changes that most Brits will need to go through, be sure to check the Blog section. 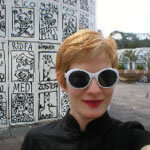 Janine Marsh is the owner and editor of TheGoodLifeFrance.com but, with time, she has become one of the many contributors to write on this website. It’s so nice to have a melting pot of ideas from people with different background who are striving for similar goals. Like Janine says, “I’ve been joined by some wonderful writers“, which means that everybody that contributes is genuinely interested in providing value through their articles. Not enough info, photos or tips ? You are covered by the The Good Life France Magazine (find the July/August edition HERE) and the very frequently updated Facebook page and Twitter account. This website is probably one of the oldest on the list, having been created in 2002. But the author, Heather Stimmler-Hall, began writing weekly travel articles called “Secrets of Paris” back in 1999 on a now defunct website called Suite101.com. The website has since been featured in many great publications, including TheGuardian, TripAdvisor and NationalGeographic. For more info about Heather’s accomplishments you can check the About page and for other great photos and casual, short tweets, be sure to check her Twitter account. 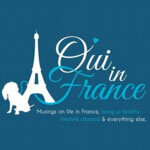 Diane started the Oui In France blog back in 2012 and has regularly updated it with personal stories as an American expat. Posts with titles like 5 Embarrassing French mistakes or Culture shock moments at grocery stores in France will surely get your attention. The fear of not being able to fit in with the new culture is real and these kinds of articles are the best solution to those fears. But the most important page is definitely the Start Here page because it is basically an index for all the important tips and tutorials to make your expat life in France so much easier. Lindsey is on her 9th year in Paris and she’s far from just an American expat now, as she earned her French citizenship back in 2014. She’s an ambassador for Afar Magazine and a freelance food and travel writer, having contributed to a number of web and print publications. More information about Lindsey on her About Me page. As with many expat blogs, the most important information is gathered on one index-like page. In LostInCheeseland.com you can find this page at Resources but what is different from any other blog we reviewed is the huge number of food related establishments and cafes which are featured. Since its creation in 2005, this blog has been edited by Laurie Pike, whose love of France began at a young age thanks to Pepe le Pew cartoons. I think that’s the most sincere and straight forward introduction we have ever read. But that seems to be Laurie, as it is visible in every aspect of the blog, from the minimalist theme to the Contact page where we have just the email and a picture of a very old looking computer. Be sure to follow The Paris Blog on both Facebook and Twitter. Allison Coe, the owner of this blog, is doing a great job of strategically categorising every post into many areas of interest. Be it that you need to learn how to shop like a local or need to know where you can access the free WiFi, everything is listed under their correspondent category at the very top of the blog. The menu is very straightforward, so we doubt that you’ll struggle to find what you need within 3-4 clicks. Great job on that Allison! If you want to subscribe to her latest posts on social media, be sure to follow her on Facebook and Twitter and, why not send her a comment or a question? Staying in the same area (close to Nice) we follow the stories of Kevin Hin on his French Riviera experiences as a British expat and business owner of a small hotel in the centre of Nice. He has lived in Monaco since 1989 so it has pieces of advice and tips for newcomers or people that want to move or just visit the French Riviera. The blog is full of reviews and places to visit in Nice and great tutorials and tips to save money when traveling to this cities, like his post on Visiting Monaco on a tight budget. Be sure to follow him on his Facebook page or Instagram account for some beautiful photos. This is not just a website, is a community! It is updated primarily by four ladies as you can see on their Writers page: Tina, April, Muriel and Melissa, but supported by thousands. The first page of the website is very well formatted and offers quick access to the most important pages on sites such as Expat Guides, Art & Culture events and even showcasing Expat Entrepreneurs that made it in Paris. If you want to be part of this ever-growing community, be sure to join their supporters on any of the listed social media accounts: Facebook, Twitter, Google+ or Pinterest. Richard Nahem is an ex-New Yorker that made Paris his new home in 2005. Since 2006, he has recorded his thoughts about the city and what it can offer on this blog. Here, you can get anything from restaurant reviews to museum photo tours and many other tips. He has become so familiarised with the The City of Light that he started his own business by providing his own private tours of “his” Paris public. On his business website you’ll see something that caught our eye: this very catchy slogan: “See the Paris tourists never see!“. 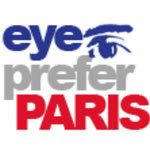 Note: You can find Richard’s blog also at the address www.eyepreferparis.com. It is the same exact blog, just a different domain name. We believe it’s just a re-branding process. We’re InternationalMoneyTransfers.org, an informative site that helps individuals and businesses transfer money abroad for cheap. We’re very much expat-oriented, and thus, we have decided to offer our visitors additional resources that could help them with their emigration journey. We also have a specific page dedicated to sending money to France. As we said in the beginning of the page, we had a very large pool of blogs to choose from. And some, even though they didn’t find their way in to the Top 10, are worth mentioned in our second section where we will offer the Silver Badge because they all have that “je ne sais quoi“. 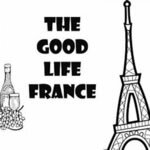 ThisFrenchLife.com: Blog regularly updated with the most important news happening in France but also has pages packed with essential info for any expat. AmericanExpatInFrance.com: Michael has lived in France for 5 years as a student, intern, teacher and professional, and with his blogs tries to offer info to all of those interested in living the France life. ParisWeekender.com: Great blog for travelers but also for new expats that don’t know where to start exploring and where are the best sights in Paris. 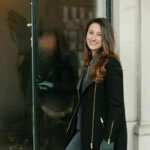 ShopaholicFromHome.com: Aga is a Polish self-proclaimed shopaholic living the life in Lyon trying to teach people how to become savvy shoppers. 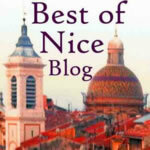 VanessaFrance.wordpress.com: The blog of Vanessa Couchman showcases the life of a British writer in southwest France. LoveFrance.info: A British expat who share tips and tricks on how to enjoy life in France and learning the language better, even if it means to learn French swear words. VegemiteCroissant.com: The domain name is already saying half of the story 🙂 Bruce and Ange are Australians in France, trying to make sense of it all and have some fun. HungryAtMidnight.com: The blog of Gail Ho, a 22 years old pastry chef in France, where you can have a taste of her life and dessert creations at the same time. OurFrenchOasis.com: One big British family making France their new home. Be sure to take a look at their Instagram account for beautiful countryside photos. 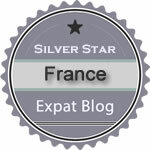 LeFrancoPhoney.com: Wendy is an Australian who moved to England but settled in La Clusaz, France. 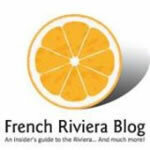 She started the blog as a way to keep track of all aspects of living in France. Is your blog listed in this post ? Would you like to brag about it ? If so, be sure to incorporate to your website the Badge Award below, with the dimensions that better fit your design. All you have to do is to take the code of the badge you want and paste it in a new sidebar or footer widget on your blog.